So you’re ready to completely re-do a room in your Howard County home – or maybe several rooms. That outdated kitchen wallpaper just isn’t going to cut it anymore, and your blue living room walls definitely don’t match the brand new red couch you just purchased. Maybe you’ve shopped around and looked at paint swatches or saw a beautiful color at your friend’s house that you just loved. However, what looks good in the store or at another house will not necessarily look great in your own home. In situations like this, hiring a color consultant can make your life easier by helping you choose the right color combinations that will work for your home. Hiring a color consultant can make your life easier by helping you choose the right color combinations that will work for your home. 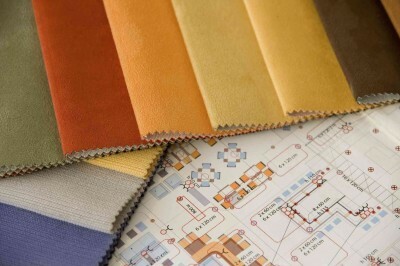 What Can a Color Consultant Do for You? Do you have that room in your home that just doesn’t look right? Something looks off, or you have a feeling that something is missing, but you just can’t put your finger on it. Or maybe you thought you had found the perfect Benjamin Moore paint color for your kitchen, but when you actually applied it, it was nothing like you had hoped for? This is where a color consultant comes in. Not only can a color consultant prevent you from making costly mistakes, but they can also give you the peace of mind in knowing that each element of your room, including furniture, walls, flooring, and lighting, looks great and is exactly what you wanted. What Are the Pros of Hiring a Color Consultant in Howard County? Even if you’re not planning on replacing your existing furniture, a color consultant can help you with any project, no matter how big or small. Do you know you’d like to paint your living room blue but just aren’t sure what shade works for your room – no problem, a color consultant can help. Just moved in to a brand new home and need all new furniture, flooring, and paint – that’s no problem, either. A color consultant understands what colors look best in what lighting and how to mix and match them appropriately in a way that will complement your own personal style and personality. So what are you waiting for – stop by Columbia Paint Company and talk to a qualified color consultant today!